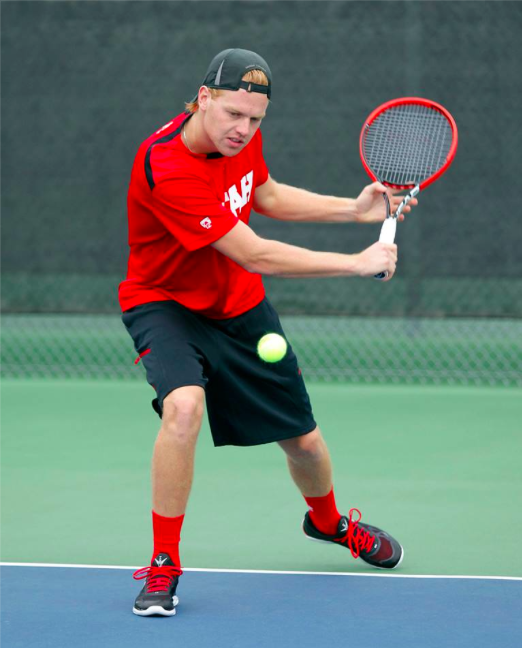 LAS VEGAS – The Utah men’s tennis concluded play at the ITA Mountain Regionals Saturday at the Darling Tennis Center. After reaching the singles main draw semifinals with four consecutive victories, fifteenth-seeded senior Cedric Willems suffered a hard-fought 6-7, 7-5, 7-5 loss to Denver’s first-seeded Henry Craig. In consolation doubles action, junior Matt Cowley and freshman Santiago Sierra were defeated in the quarterfinal round to Stefan Cooper and Sanjay Goswami of Weber State, 8-7. This entry was posted in Schedule/Results and tagged Cedric Willems, ITA Regionals, Matt Cowley, Roeland Brateanu, Santiago Sierra, Utah Tennis, Utah Utes. Bookmark the permalink.